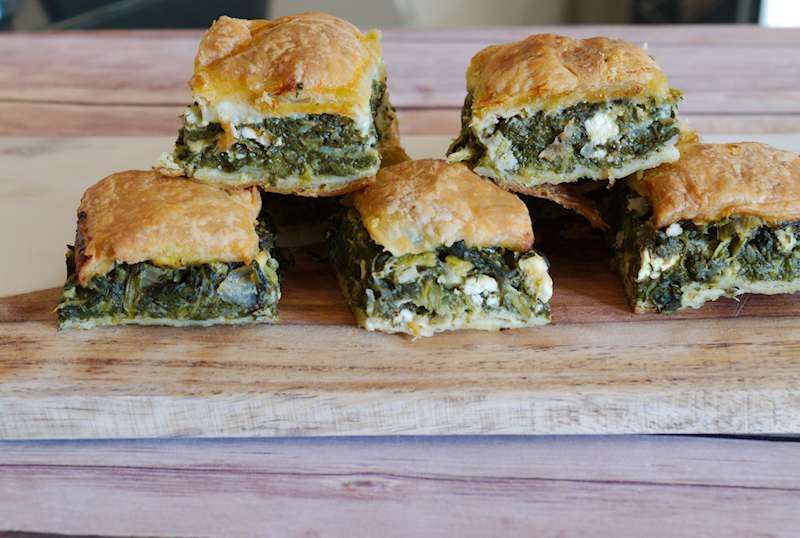 This is an original recipe for the famous Greek spinach and feta pie (spanakopita). 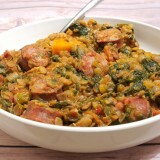 It’s healthy, nutritious and a great idea for a dinner party. Spinach and feta pie (spanakopita) is one of my all-time favourite food. Honestly, I could eat the whole tray when my mum used to make it. I still remember the days when I was a student and returned to visit my parents. I was sent back with a tray of spanakopita and 20-30 meatballs, which lasted for about a week. Was I bored of them? No! No my mum lives thousands of miles away and I don’t have the chance to taste her spanakopita as often as I would like to. So I had to learn how to make it myself. 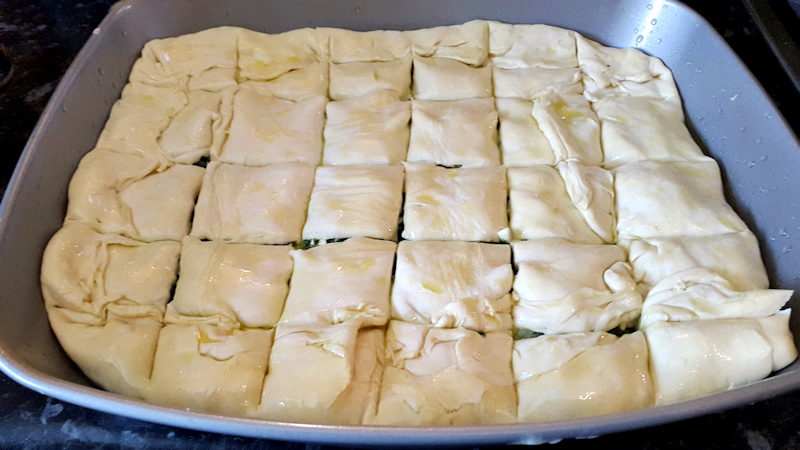 What makes a good spanakopita is the pastry that you use. The easy solution is to use simple filo sheets you can buy in the supermarket. That will do the job, but it’s not the best solution. You may create your own dough but this takes more time and can be a subject for another post. For me, the best choice is a “traditional” straight-from-the-village pastry you can find in Greek supermarkets. It’s soft and tasty. Looks similar to a puff pastry but it’s not saturated in butter and oils, as the commercial puff pastries are. I was lucky enough to have some of this pastry in my freezer and I gave it a go. You can see the end-result in the photos. Amazing, right? 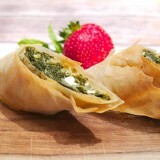 However, since it’s not easy to find, I propose a recipe with simple filo sheets. 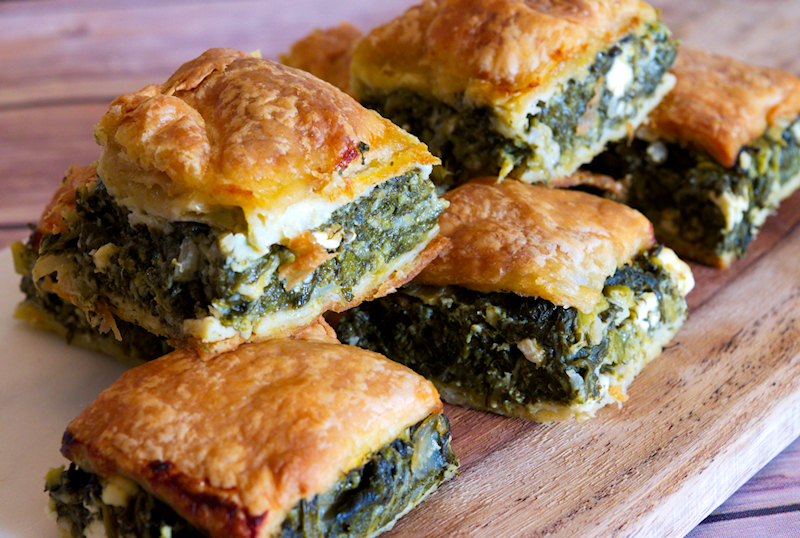 This is an original recipe for the famous Greek spinach and feta pie (spanakopita). 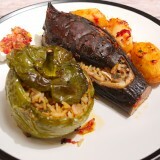 It's healthy, nutritious and a great idea for a dinner party. 1 kg (35 oz) of spinach (fresh or frozen). A generous bunch of fresh dill chopped. 250 (9 oz) gr feta cheese crumbled. Warm up ⅓ cup of olive oil in a pot on medium heat. Cook the onion, spring onions and leeks until softened. Add the spinach and cook it until it releases all the juices. Give a stir from time to time. Add the dill. Cook for around 10 minutes. Remove from heat and try to remove most (if not all) the juices. Add the feta, season with ground pepper and stir well. Feta is salty so you don't need any salt. Whisk the eggs in a bowl. Wait until the spinach mixture cools down and add the eggs to the pot. Stir well. The spinach should be cold because you don't want the eggs to be cooked in the pot but rather in the tray. Spread some olive oil with a kitchen brush on a tray and add one filo sheet. Spread some oil on top of that and add a second and so on (around 5-6 Sheets). 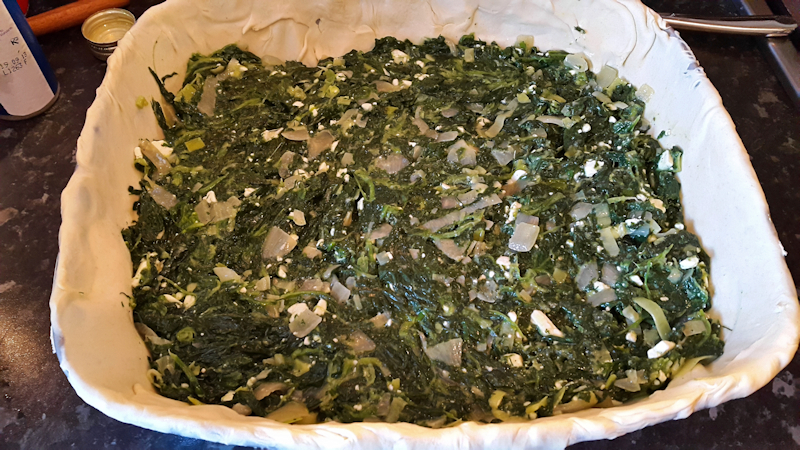 Add the spinach mixture and cover with filo sheets again, spreading olive oil in between. 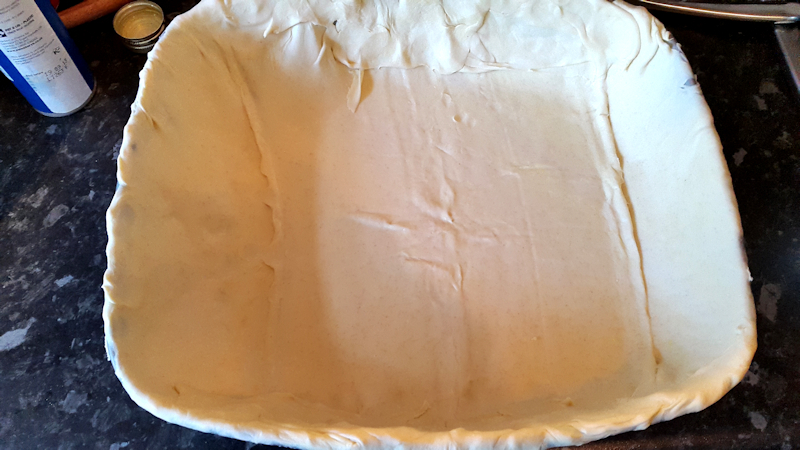 When finished, fold the edges of the excess filo sheets to confine the mixture. Use a knife to carve gently the pie in pieces that you will serve. You may spread one whisked egg with a brush on the top for that golden finish. Bake for ~ 45 minutes at 180 Celsius (360 F) until golden brown. This sounds great, I’d be interested in seeing the dough recipe! Thank you! As I said, I used a ready-made pastry I got in a Greek supermarket. You could use Filo sheets. 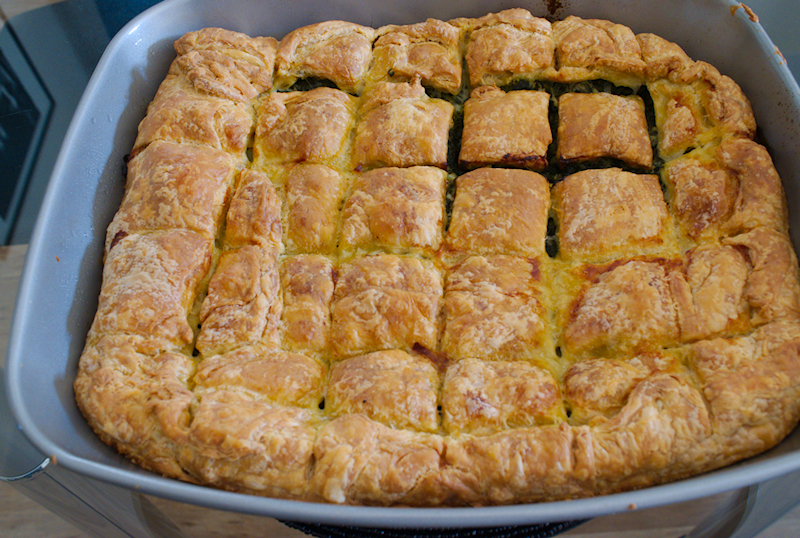 If you search on the internet I am sure you can find a recipe for spanakopita pastry.